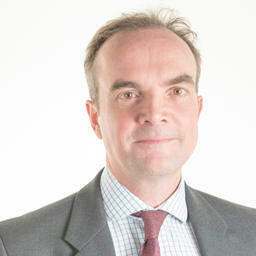 Jeremy Halfhide is an Associate Member of the British Association of Dermatologists; he holds the only UK recognised training in lasers, the Loughborough University BTec qualification (2000); he is a member of The Primary Care Dermatology Society. Dr. Halfhide has more than 15 years of experience in Laser Dermatology and Cosmetic Dermatology nearly all that time working with SKN and in recent years working as their London Regional Medical Director. He also acts as the doctor for their national Incident Reporting System and sits on SKN's Medical Standards committee. He holds clinics regularly at Harley Street, London Wall, Holburn, Canary Wharf and Chelmsford. He enjoys a passion for for Laser and Cosmetic Dermatology working at SKN, and having the time to really explain and help patients understand their condition and how to achieve success in their desired outcomes. He also believes strongly in SKN being the market leader in maintaining high standards through their unique Incident Reporting System, a quality assurance programme that sets skin apart from other clinics. He is married to a doctor, thay have 2 children of school age and a labrador Bertie. His hobbies are sailing, skiing and keeping fit when time permits.